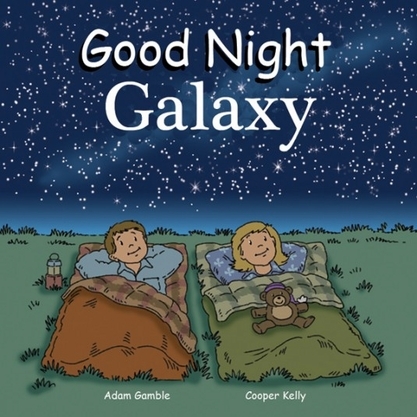 Good Night Galaxy explores the Milky Way planets, the sun, the moon, asteroids, comets, black holes, constellations, binary stars, the Big Dipper, meteors, the Orion nebula, red giants, and more. 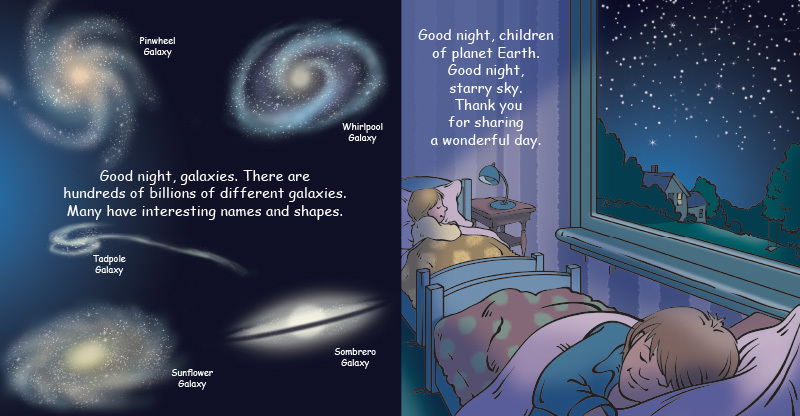 Blasting into outer space, this unique and educational board book gives young astronauts a tour of our Milky Way Galaxy. No asteroid is left unturned!